Please feel free to contact Kylie Keep on admin@arakan.com.au if you would like to contribute to our monthly newsletters in anyway. In a chance encounter at a community fete we saw the Arakan stand and after talking to the guys I was really impressed with how friendly the team was and how passionate they were to get Deklan into his first lesson. Here is the part that grabbed me the most, the training is done outdoors in parks and school grounds while wearing shirts and shorts and everyday shoes, now that’s real life training. We booked in straight away for our complimentary lesson and Deklan couldn’t wait to get started. 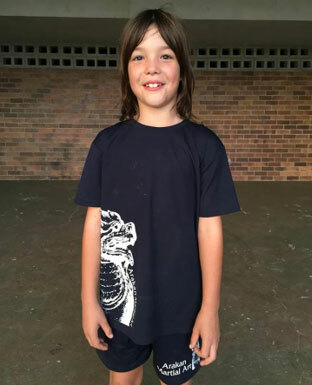 On the day of his first lesson Deklan was quite nervous but his instructor made him feel completely relaxed and the lesson was a great mix of training and learning through fun games. At the end of the lesson Deklan ran straight up to me and asked if he could do more training tomorrow and the next day, which was a sure sign he loved it. He has now been training for over 3 years and as much as Arakan is about learning self defense and getting fit, I have seen Deklan grow in confidence, co-ordination, self respect and self belief. I can honestly say I have been totally impressed with how Arakan has taught him practical, useable skills in real life environment,s and we look forward to many more years involvement with the Arakan family. Recently I had the privilege of teaching another successful Junior Training Day over the school holidays. It's so great to see the improvement of these junior students throughout each term. Through the day I really get the chance to slow things down as a teacher and work on their techniques and skill sets. By spending the whole day with your children I can really bring out the best in them. Allowing us to have such an incredible day of fun and learning. Thanks so much to all the parents for making this happen each term. I am really looking forward to the next Junior Training Day over the term three holidays. Please contact the office or speak to your child's instructor for more information. 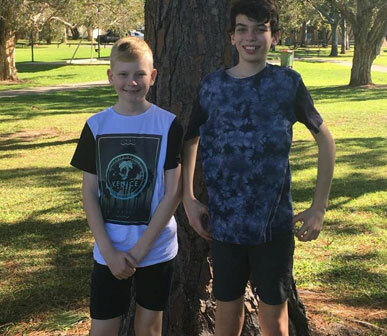 Our Two boys attended the School holiday training day and had an awesome time! They learnt so many new skills to help them with their weekly training and the Instructors Mark and Jamie were excellent and taught them so much. Darcy and Connor can’t wait to go to the next one.